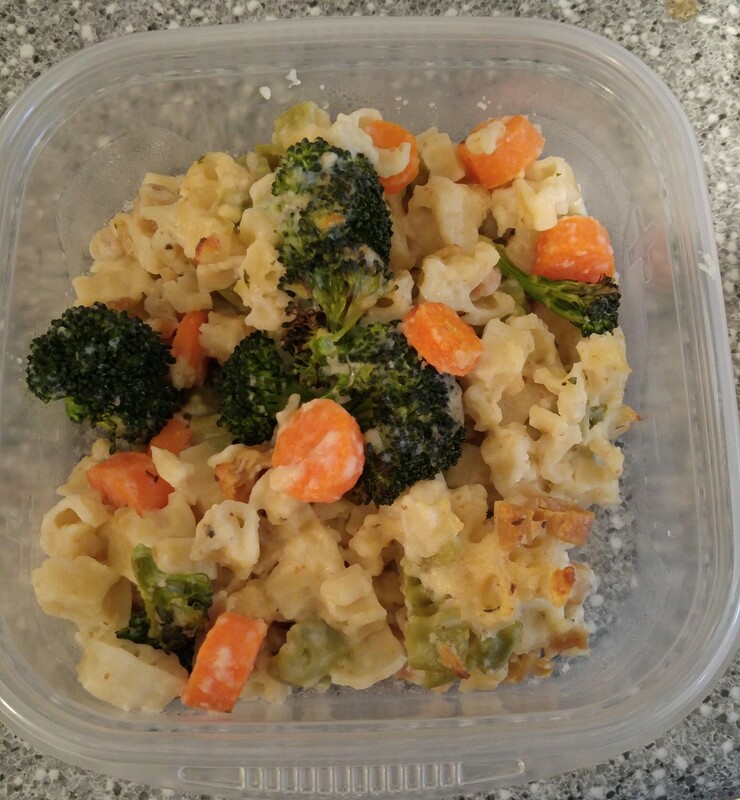 I made the garlic primavera and the alfredo pasta bakes. You can find the recipes here. I also found a recipe for alfredo sauce. For my pasta, I bought this “Canadian” pasta at Bulk Barn a few months ago and I’ve been meaning to use it. By “Canadian”, I mean it is shaped like maple leafs, moose, and bears. That was enough for one of the pasta bakes, so for the other, I used some small pasta shells I had. I didn’t bother making the foil boat for the pasta, because I was only making two, so I just used a loaf pan twice. The recipe for the alfredo sauce seemed a bit boring, so I googled good herbs to add to alfredo, and reddit told me to add parsley, sage, oregano, and basil. I did burn a bit of the alfredo sauce to the bottom of the saucepan, so it tasted a bit funky, so the herbs probably helped balance it out. 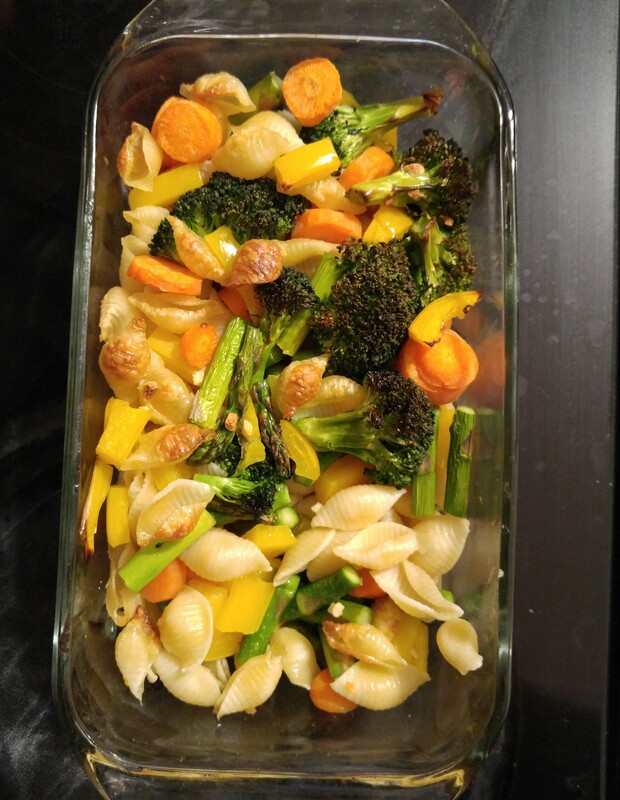 The garlic primavera was pretty simple, but maybe too simple because it was a bit bland. The different vegetables were all nice with the pasta, but there wasn’t a ton of flavour. I just looked back at the recipe, and it had parmesan as an optional topping, and it probably would have helped. Because these were really simple recipes, they’d be good go-to recipes if I don’t have much time, or if I’m feeling lazy, but they wouldn’t be my first choice for dinner.